Teresa Hancock-Parmer was sold from that first minute, six years ago, when she was invited to join Indiana University’s Spanish language performance group Grupo de Teatro Vida. The troupe combined her two loves: the Spanish language and theater. Hancock-Parmer spent three years acting with the troupe while working toward her Master of Arts degree in Hispanic literature, and now she directs the group while working on her doctoral thesis focused on 16th, 17th and 18th century mystical Spanish literature. Jennifer Burch as the Inventor shows off magical shoes in a previous performance of “Ventanilla de Patentes,” or “A Tale of Two Shoes: Patenting Destiny,” by Charo González Casas. 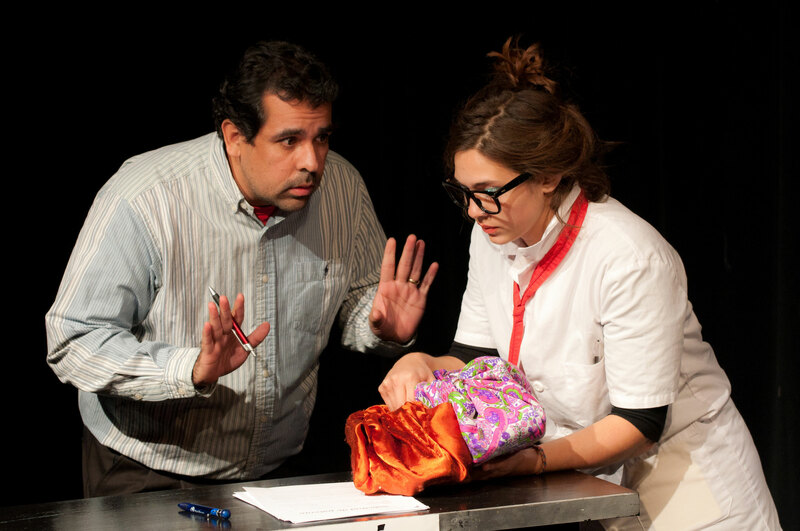 Grupo de Teatro Vida’s 2012 show is titled “Maniobras Traviesas,” or “Mischievous Maneuvers,” and features four short plays. All are performed in Spanish, though summaries and a glossary are provided in English. Actors include IU students, faculty from the Department of Spanish and Portuguese and members of the community. 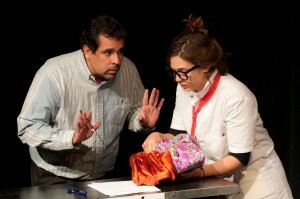 Performances are at 8 p.m. Nov. 1 to 3 at the Bloomington Playwrights Project building, 107 W. Ninth St. Admission is free, and tickets are not required. The troupe’s faculty advisor is Israel Fernando Herrera, a lecturer in the Department of Spanish and Portuguese.